Visit the library – always a good place to start! Make a book and fill it with songs, poems, stories, illustrations, etc. that relate to the holiday at hand. 1. Use the library to borrow books, CDs, movies. The Ventura County library system allows users to log in to their accounts online to search for and request titles. 2. Find sites online that are free. Some favorites for younger children include Study Dog (a free download) and Starfall – both are reading readines sites. 3. Buy memberships to the zoo, museums and other places of interest. Memberships allow families to make weekly trips to places like the zoo for less than a dollar a week. 4. Arrange book, puzzle and curricula swaps with other homeschoolers. Trading books and other materials means you get more resources for your money. This can be as simple as making arangements with one other family while you’re sitting at the park, or creating a grand-scale swap and inviting as many homeschoolers as you can to attend. 5. Skip the manufactured manipulatives for math and make your own instead. Counters can be pinto beans or beads; fake money can be skipped in favor of the real thing; graph paper can be used to create ones, tens and hundreds when talking about place value. 6. Find a used bookstore, or go online to places like half.com for used books or yourself and your child. You can often find books in great shape for a fraction of what you’d pay for them new. There are some other sources for used books and curricula in the links section of this site. To start a non-public school home school you just begin home schooling. To commence a house education program you merely begin home schooling. Home schooling is the most popular in Canada, France, the uk, and the usa. Parents decide to homeschool their children for a lot of different reasons. In almost all areas of the country, they do not need an education degree to homeschool. They gave a number of different reasons for homeschooling their children. Some parents offer a liberal arts education employing the trivium and quadrivium as the primary models. They may seek information about the school curriculum from the local board of education. Homeschool parents should make sure that their kids get the instruction and the experiences they require. Homeschooling isn’t an exception. Homeschooling may be used as a sort of supplemental education and as a method of assisting children learn under specific conditions. Homeschooling might also be a component in the option of parenting style. Homeschooling is a huge choice, but it doesn’t need to be difficult or overwhelming to start. Homeschooling is a full-time commitment and to ensure that the kid receives a superior education, parents want to spend time and effort needed. To help other parents that are thinking of homeschooling, here’s a new collection of advantages and disadvantages. If you’ve recently started homeschooling, you might observe some challenging or confusing attitudes and behaviors from your son or daughter. Homeschooling is legal in a few countries. Homeschooling provides the chance for parents to incorporate their beliefs in their everyday lives. Homeschooling is governed by the state as opposed to the federal government, which means you will want to look to the particular regulations in your state to discover what, if anything, you’ve got to do to be legally homeschooling. Some public schools make it possible for homeschoolers to attend certain classes they choose. The Ogburn on-line School provides online homeschooling programs that may accommodate the requirements of virtually every family members and student. The Ogburn on-line School starts by learning as much as possible concerning the student, before recommending the ideal online homeschooling alternatives available. The Ogburn on-line School will designate the internet homeschooling courses which are best suited for the student’s success. Just make sure you look at your state’s homeschool laws so you understand how to properly withdraw your children from school and start homeschooling. Everyone can homeschool a single child for a couple months, but it does not make them a homeschool expert. The job of homeschooling a young child is surely not simple, particularly for working parents, single parents or stay-at-home parents. At home, he or she is learning whenever he or she is awake. Alas, many children are bored or frustrated in school, and some struggle to comprehend what they’re taught while the pace of teaching needs to be dependent on the requirements of a huge group. If your kid is happy in school and you’re happy that they’re achieving their potential, then there’s probably no reason to consider home education. If your children are in school and you’ll be bringing them home, deschooling is a significant consideration. 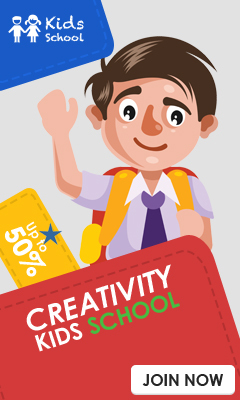 Write to the headteacher if you intend to take your son or daughter out of school. Homeschooled children can accomplish in a couple of hours what takes a common classroom weekly or more to cover.